Realtor Margaret Stapleton, of RE/MAX Alliance Evergreen, lists the top four tips regarding why fall is fast becoming the best time of year to buy a house. Fall offers beautifully crisp, comfortable weather, and is usually not plagued by the excessive summer heat and humidity that can zap anyone’s motivation, including a homebuyer’s. Although spring and summer have for years been considered the best times to buy a house, fall has been challenging that widely held belief. “Despite inventory tending to be lower in the fall, it is still becoming the new optimal season to buy a home,” said RE/MAX Alliance Realtor Margaret Stapleton. No. 2: Motivated sellers. For sellers whose homes languished on the market during the spring and summer months, they are extra motivated to sell come fall. “This leaves more room for negotiating a lower price on a home that didn’t sell in the traditional ‘prime’ seasons of spring and summer, as the seller will usually be more realistic about the asking price,” said Stapleton. No. 3: Weather. “Fall offers beautifully crisp, comfortable weather, and is usually not plagued by the excessive summer heat and humidity that can zap anyone’s motivation, including a homebuyer’s,” said Stapleton. 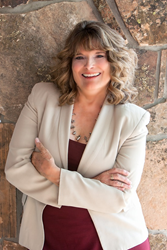 Margaret Stapleton “Connecting You to Lifestyles You Will Love” focuses on relocation, luxury and investment property representation along the Front Range of Colorado, especially in Evergreen, Conifer, and west Jefferson County, Clear Creek County and Park County. Her goal is to help buyers find their dream homes or second homes, investment options, and help sellers discover the best solutions in a constantly changing real estate market. For more information, please call (303) 670-6341, or visit http://www.coloradosrealestate.com. The RE/MAX Alliance office is located at 30480 Stagecoach Blvd., Evergreen, CO 80439.